I could never hold a normal job. They are all great, each in their own way. Seeing around corners is hard. But when you pull it off, it's fantastic. Not listening to mom when she tells you to be a dentist. Richard is a physicist who somehow ended up starting companies. Before starting his own, he helped a few along the way, including Intel, Apple, VisiCorp ( the first spreadsheet), Adobe, Stratacom, Frame, Sun Microsystems, and others. Richard started Electronic Arts with Trip Hawkins in 1982. 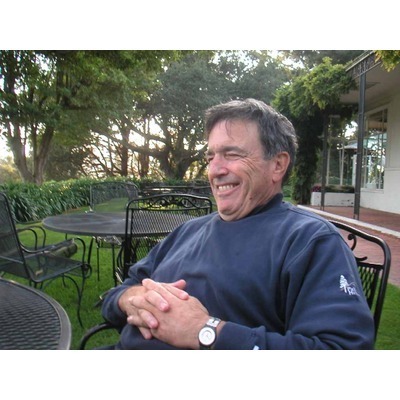 In 1985 he started the high tech ad firm Melmon Tawa & Partners, which launched many of the companies and products of Silicon Valley of the late 1980’s. The agency was sold in 1990 to Livingston and Co., a large Seattle based advertising firm. He then started Objective Software which launched Spreadbase in 1990. The company was sold to Assymetrix in 1993. Richard joined with Duncan Davidson and Regis McKenna at the McKenna Group in 1995, specializing in advising high tech Japanese firms about the coming of the Internet. He became a serious seed investor beginning in 1995, formalizing the role with the founding of NetService Ventures in early1999. Early successes included Commerce One, Broadware, and BigFix. More recent portfolio companies (pre Bullpen) include Aggregate Knowledge, Tubemogul, Zvents, 3Jam, Superfish, Shortform, and Vextec. NSVG also helps Japanese high tech companies understand and utilize Silicon Valley entreprenurial practices to restructure and modernize their businesses. Richard has a BA in Physics from UC Berkeley, and an MBA from Stanford University. His early career in physics focused on xerographic technologies, where he holds two patents. Richard was mentioned in a VatorNews article "Post Seed Live Web stream on December 2"
Richard started following TubeMogul, Inc.
Richard filled out investment critera. Richard was mentioned in a VatorNews article "How angels have broken the traditional venture model"
Richard was mentioned in a VatorNews article "Has the traditional VC been forced to pivot?" Richard started following Vator, Inc.